Caldwell Wealth & Estate Advisory Ltd. | Financial Advisors in Kingston, Ontario | Plan well. Live well. Our strengths in play for you. We have a depth of experience that spans three decades and are continually investing in our own financial education so that we can better advise our clients. Make an appointment and ask us your questions. Our team is ready to dig in and find answers for you. What do you see in your future? Before we can provide answers, we have to ask the right questions. A process to help you map your route to financial freedom…whatever that means to you. Looking for comprehensive advice and counsel, but wanting to put the wheels in motion yourself? Our conceirge planning-only services are a good fit for the ‘do-it-yourself’-er. Do you sense that your business or Professional Corporation has untapped potential? Our advisory team can help identify and unlock opportunities that are awaiting you. Time to take action for your financial future? We work with a wide range of clients and would be happy to talk to you. Start the conversation today. Are you a physician or other health care professional? 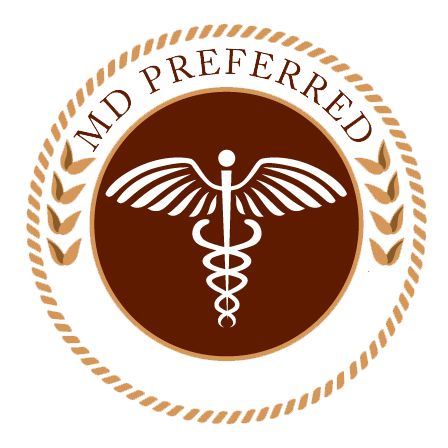 We are the exclusive representatives of MD Preferred in Kingston and area. Put our experts on your team. Find out about how we are specially equipped to help doctors and other medical professionals with their unique financial needs. 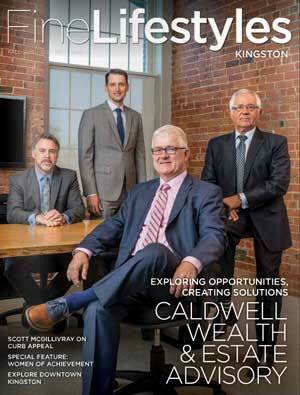 Meet the team from Caldwell Wealth & Estate Planning Advisory through the feature article in the current issue of Fine Lifestyles Kingston magazine. You can pick up a copy at our office or read it online.